2018 Visiting Professor in Global Studies, Universitat Pompeu Fabra (UPF), Barcelona, Spain. Hosted by Department of Humanities UPF. Funding was granted by Erasmus+ on the Program of Staff Mobility, 28 April – 11 May 2018. 2018 Adjunct Assistant Professor at the Department of Financial and Economic Law, Asia University, Taiwan, for the period of 1st February 2018 – 31 July 2018. 2018 Al-Hamdi, Ridho. Islam dan Politik di Indonesia: Pemikiran Muslim Modernis Pasca Orde Baru. Yogyakarta: Calpulis. 2017 Al-Hamdi, Ridho. 2017. 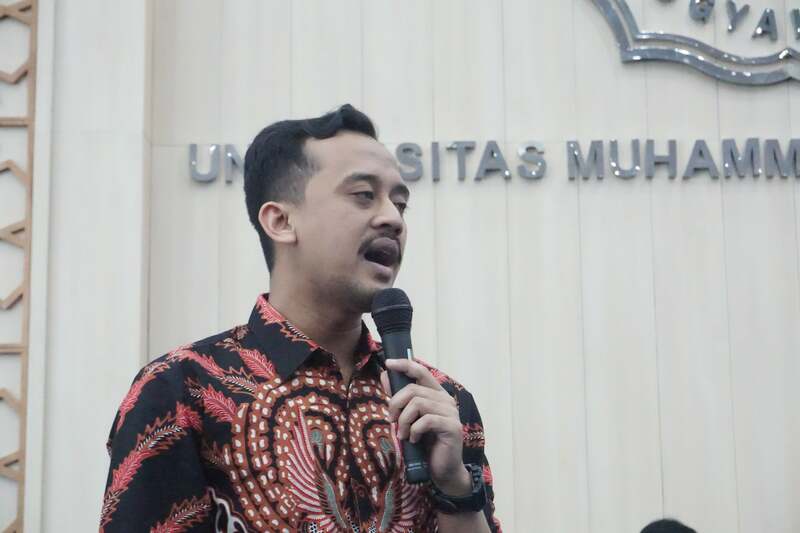 “Ketika Sekolah Menjadi Penjara: Membongkar Dilema Pendidikan Masyarakat Modern”, The Journal of Society & Media, Vol. 1 No. 1, pp. 11-34. 2015 Al-Hamdi, Ridho. “The Jakarta Charter in post-Soeharto Indonesia: Political thoughts of the elites in Muhammadiyah” Jurnal Masyarakat Indonesia, Volume 41, Number 01, June, pp. 43-56. 2018 Invited Speaker at the Academic Seminar in Global Studies held by Department of Humanities, Universitat Pompeu Fabra (UPF), Barcelona, Spain, 3 May 2018 in Room 40. The entitled topic is on “Democracy and Islam: Unfinished Discourse”. 2018 Invited Speaker at the International Research Collaboration Seminar in Asia University, Taichung, Taiwan, 23 April 2018. The paper is on “Crowdsourcing Model of Social Media in Asian Cities: Comparing between Indonesia’s Surabaya and Taiwan’s Taipei“, hosted by Department of Financial and Economic Law, Asia University. 2018 Keynote Speaker at the 2018 International Seminar on Development Studies: Development for Sustainability and Livability, 26 March 2018 at UUM Convention Centre, Malaysia. The paper is on “Well-applied Local Governance in Indonesia: An Experience of Yogyakarta Municipality”, hosted by School of Government, Universiti Utara Malaysia. 2017 Invited Speaker at the International Seminar on Comparative Study on Current Social Political Issues in Southeast Asia. The paper is on “The Trajectory of Democracy in Southeast Asia: Two Decades in Indonesia 1998-2016”. It is a collaborative event between Universitas Muhammadiyah Yogyakarta and Universiti Utara Malaysia, held in Ruang Amphitheater Gedung Pascasarjana, Universitas Muhammadiyah Yogyakarta, 18 October 2017. 2016 Paper Presenter on “The Well-implemented Local Governance in Indonesia: An Experience of Yogyakarta Municipality” at the International Conference of Integrated Intellectual Community (ICONIC): Industrial Revival: Optimizing Strategy on Business, Government and Education, 29-30 October 2016 at Technische Universität Hamburg-Harburg, Hamburg, Germany. 2015 Invited Speaker at the International Seminar on the Challenges and Opportunities of AEC for ASEAN Community, Lesson Learned between Malaysia and Indonesia. The paper is on “The Challenges and Opportunities of Asean Economic Community for Indonesia”, held in Ruang Amphitheater Gedung Pascasarjana, Universitas Muhammadiyah Yogyakarta, 7 November 2015. 2015 Paper Presenter on “Towards A Normalised Path: Political Islam in Contemporary Indonesia” at the International Conference on Green and Clean Politics (ICGCP), 29-30 October 2015 at School of Administrative Studies, Maejo University, Chiang Mai, Thailand. 2015 Paper Presenter on “Towards A Normalised Path: Political Islam in Contemporary Indonesia” at the International Conference on Public Organization (ICONPO) V: Asean Integration: Opportunities and Challenges, 27-28 August 2015 at de Ateneo Davao University, Davao City, Philippines. Hosted by Mindanao State University Illigan Institute of Technology (MSU IIT). 2014 Paper Presenter on “The Jakarta Charter in Post-Soeharto Indonesia: Political Thoughts of the Elites in Muhammadiyah” at the International Conference on Public Organization (ICONPO) IV: Social Enterprenership Driving Sustainable Change Beyond the Millenium, 25-26 August 2014 at Quality Hotel, Kuala Lumpur, Malaysia. Hosted by School of Government COLGIS Universiti Utara Malaysia. Responsible for planning and implementing academic programs and activities at the international program level. 4 Reject irrelevant subordinate work. 6 Accuracy in achieving quality standards for activities. 1 Plan, formulate strategies and policy majors that include, education, research, community empowerment, resources, student services and promotion and quality assurance. 2 Plan activities and plan budgets of departmental activities including, education, research, community empowerment, resources, student services and promotion and quality assurance. 3 Planning activities in the implementation of cooperation / MOU / cooperation agreement between the majors with other universities, government agencies, and the private sector in the framework of academic development which includes education, research, community empowerment, resources, student services and promotion and quality assurance. 5 Fostering extracurricular activities, devotion, a student organisation, and self-development of students at the majors level. 7 Formulate the annual operational plan (RENOP) of the department. 8 Implement academic management information system. 9 Monitor and evaluate academic activities in the educational field including education, research and community empowerment, student and promotional services. 10 Documenting all activity products in hardcopy and softcopy. 11 Prepare periodic accountability reports (LPJ) as well as memory at the end of the term of office. b. Prepare letters and documents as required. a. Truth and accuracy according to work program. b. Develop an annual operational (RENOP) management and development plan that supports Tri Dharma Higher Education activities. d. Documenting all production activities in the form of hardcopy and/or softcopy. e. Prepare periodic accountability reports (LPJ) as well as memory at the end of the term of office.